Google might have envisioned the success of its Nexus 7 tablet, but still it was swiped away with demand and couldn’t catch up - it has been nearly two weeks for Google and Asus ramping up production to fulfil 16GB Nexus 7 orders. And now it’s back in stock. Interestingly, the 16GB $249 version of the 7-inch tablet is selling better than the basic 8 gig one which sells for $199. We’d also recommend you get the 16GB version as out of the 8GB of internal memory, there’s only less than 6GB available for your apps and downloads, and that’s definitely a constraint for most users. 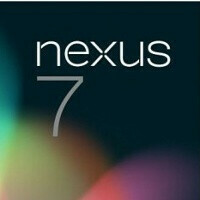 Hit the Google Play source link below to order your Nexus 7 now, and let us know which version you chose and why. I just placed my order for the 16GB model. I'll be using it for movies/music so want to make sure I have enough space available. Looking forward to experiencing JB 4.1! When are they launching it in asia...? where Google doesn't have Play Store expect price to be as high as $300 for 8GB model. Had to return mine for known flickering screen problem. Gonna wait until they iron the bugs out a little better. can anybody tell me plz if i buy this tablet from google play will they charge postage apart from 200 and 250 price tag ?